Since each room raises new challenges, Shape Lab gives you unprecedented freedom to try out flooring and make changes to it. From offices to hotels to homes, each space is unique. And so are your style ideas. 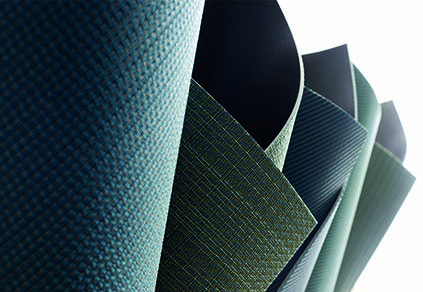 Now available to order in four shapes, Dickson® flooring affords countless layout possibilities. 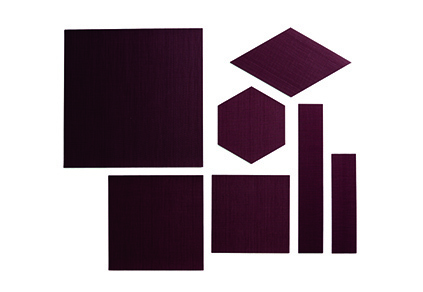 Dickson® now offers exclusive formats, other than traditional rolls or tiles, including planks, XL tiles, diamonds and hexagons. Free yourself from standard layouts or complement them by mixing products to create rhythm, perspectives and reflections to transform your interiors. Play with light, textures and reflections and give your imagination free rein. With six ranges and a selection of unique colors to choose from, make your own rules and transform your flooring into a creative statement. Like any other flexible floor covering, Dickson® flooring is glued directly to any type of flat, clean, dry and rigid surface. 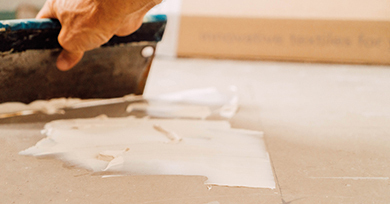 To save time and increase flexibility, lay the tiles using non-permanent glue. FrayGuard® technology developed by Dickson minimizes the common problem of fraying during roll-cutting and boosts the durability of the weave. It guarantees clean-cut edges for fast, efficient, impeccable laying.